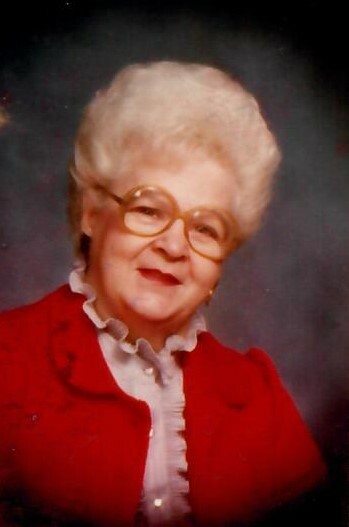 Sarah “Sally” L. (Andrews) Riffle, 85, of Wellston, passed away on Sunday, February 10, 2019, at Holzer Medical Center in Jackson. She was born on July 9, 1933, in McArthur, Ohio, daughter of the late David and Elizabeth (Wycoff) Andrews. Sarah was a member of the McArthur V.F.W., Post # 5299, and was most well known for her time spent cooking and waiting tables at the South End Bar in Wellston and the Big Dipper/Back-Street Diner. Sarah was a feisty spirit who enjoyed taking care of others, cooking, knitting, sewing, quilting, and baking. Her pies were out of this world delicious, and her love for others was unmatched. She will be greatly missed. She is survived by her five grandchildren: Lenitta, Charles, Billy, Jacqueline, and Krystal; seven great-grandchildren, Nathan, Corie, Austin, Daelyn, Rachel, Erin, and Nevaeh; three great-great-grandchildren, Jaylee, Logan, and Kinsley; as well as her two sisters, Betty Ruth and June. In addition to her parents, Sarah was preceded in death by her husband, George Dindle Riffle; son, James A. Riffle; daughter, Ruth Ann King; as well as two brothers and three sisters. The family will receive friends at R.M. Williams Funeral Service, 120 W. Broadway St., Wellston, on Thursday, February 14, 2019, from 6 to 7 p.m., where a funeral service celebrating Sarah’s life will follow commencing at 7:00 p.m. Burial will be in Hamden Cemetery. In lieu of flowers the family requests memorial contributions be given to R.M. Williams Funeral Service to help with expenses. Donations may be made through our website. Please visit www.rmwilliamsfuneralservice.com to leave a message of condolence, encouragement, or comfort to the family or to view Sarah’s online video tribute. R.M. Williams Funeral Service, Wellston, is honored to care for Sarah and her family.